For the second year running, we are delighted to support Lyme Disease UK. 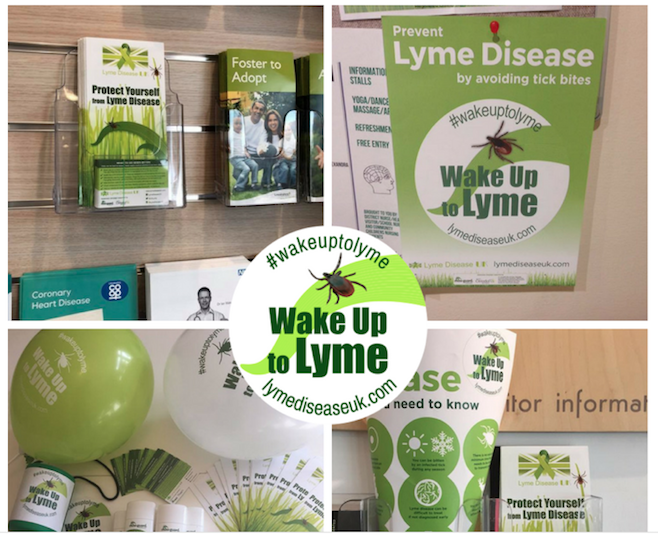 Their Wake Up to Lyme campaign raises awareness of how to prevent tick bites, how to safely remove ticks and the importance of early treatment for those people who become unwell following a bite. The campaign will see a host of awareness events taking place up and down the country. Over 2500 awareness packs with posters, leaflets, car stickers and tick awareness cards will be distributed across GP surgeries, pharmacies, vets, community venues and libraries. A snapshot of the Wake Up to Lyme campaign. Mosi-guard Natural® is a long lasting, plant-based insect repellent, which protects against ticks, mosquitoes and other biting insects. It’s a DEET-free alternative to synthetic insect repellents and suitable for children as well as pregnant and breastfeeding women. The active ingredient - Citriodiol® (Oil of Lemon Eucalyptus) - provides up to 6 hours of protection against the ticks known to carry Lyme disease (spp. Ixodes ricinis). The Mosi-guard and Citriodiol (the active ingredient in the repellent) logos will be featured on all of our leaflets, posters and tick awareness cards. We also have samples of Mosi-guard Natural for awareness raising events happening around the UK over the next few months. Unlike last year, we will not be asking members to donate to cover the costs of packs. However, we do welcome donations and any funds raised will go straight into awareness raising and enable us to go bigger and reach more people with our important Lyme disease awareness campaigning. Thank you to all at Mosi-guard Natural for this wonderful opportunity to raise awareness of Lyme disease this year!